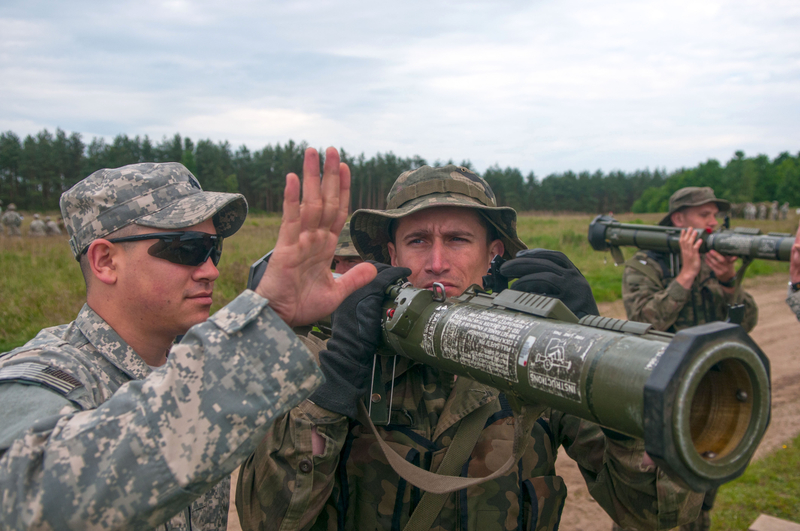 The paratroopers of C Company, 1st Battalion, 503rd Infantry Regiment, 173rd Airborne Brigade train Polish paratroopers on the AT-4 rocket launcher outside Dawsko Pomorskie, Poland, May 27,2014 . U.S., Polish and Canadian paratroopers train together in the region to foster interoperability and demonstrate continued commitment between allies during land forces assurance exercises. ( U.S. Army Photo by Staff Sgt. Brendan Stephens/ Released) Photo by U.S. Army Europe.